Got an awkward space or an ugly view you want to hide? If so, I can work with you to find the right solution because I specialize in finding creative solutions to design and building challenges. 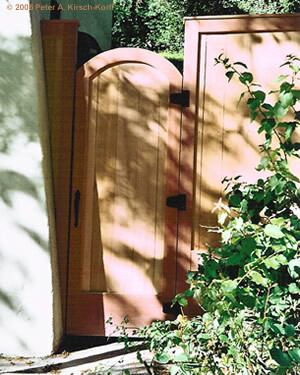 Some homes have unique features that turn ordinary building projects into a challenge. Sometimes it is the odd angle, sometimes it is a small space. Whatever it is, homeowners often ask me to mask a flaw or turn it into an asset. I love these types of projects, because I enjoy using my design and building skills to come up with innovative and elegant solutions. Here are a few recent examples and how I solved them. 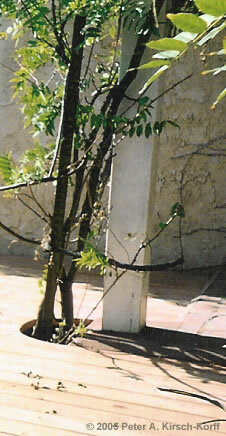 Dealing with the slanted wall meant building an angled piece to work as a gate post. 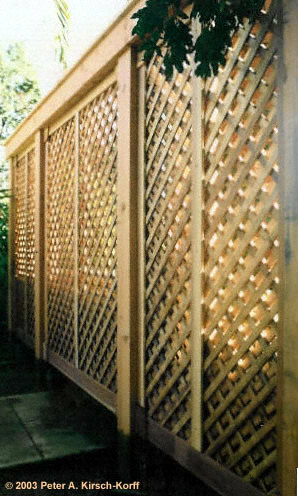 Lattice panels are a decorative way to achieve privacy, hide unwanted views and create a dramatic background for garden statuary. 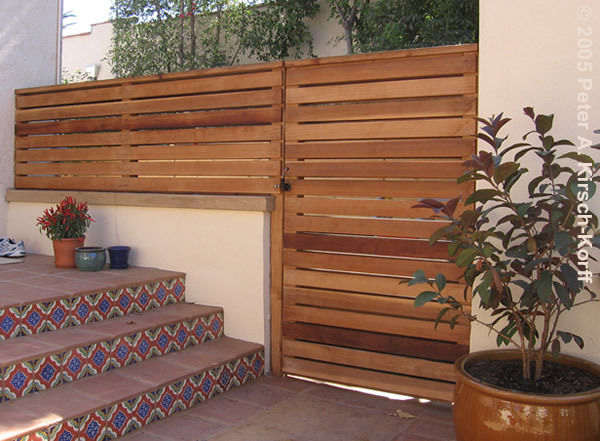 You can gain privacy and security and block unwanted views by blending gate and screening. 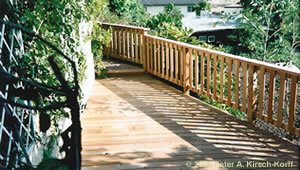 Often with hillside homes, you want to get the most living space and provide access to the deck from both directions. Decorative cutouts can leave room for trees to grow, as well as surround existing landscaping, such as boulders. Because the previous deck had failed in part due to too much moisture, I made and installed these custom deck vents along the edges and used double wide spacing between the boards. Under deck ventilation is important, especially for Los Angeles decks that are built very low to the ground or on top of concrete pads.